Spidey is ready to come back swinging, and there is always room for new skulls to crack. Now that people are becoming more familiar with Mr. Negative, and Shocker has been seen, many fans, including myself, are clamoring to know what other fantastic foes will be running afoul of the friendly neighborhood wall-crawler. Next to Batman, Spider-Man may have one of the best lineups of villains, but players have come to expect several familiar faces: Doctor Octopus, Green Goblin, Vulture, as well as Venom and Carnage. Those characters are all great, even if a bit too familiar. So, going back through some of the old games and picking a couple from the wealth of comics, I thought of a few antagonists for our hero that need to have their moment to shine, either in the game or as DLC. This isn’t just about cool factor though. These are all slightly lesser-knowns whom I think could honestly be great for the game. Let’s get the obvious one out of the way, because it is a bit of a catch-all. We know that Mr. Negative is in the game and one of his more impressive powers involves corrupting good people to do bad things. Sure, he could send some of his normal minions like Hammerhead or even some throwback villains we haven’t seen in a while: Stunner, Grizzly, Jack O’ Lantern, or maybe even Stilt Man, but it would be much more fun to turn Parker’s own allies against him. 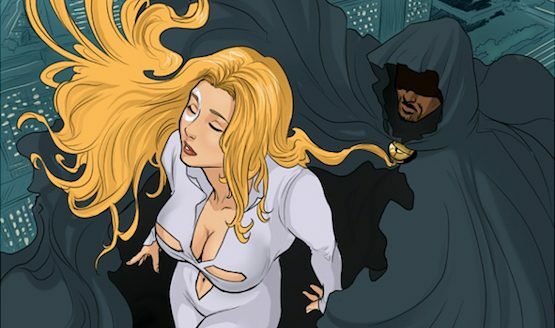 There are some interesting choices: Black Cat, Prowler, or even Silver Sable, but sticking a bit closer to the comics would mean seeing Cloak and Dagger corrupted by the man they share powers with, and sent after our hero. Not only do Cloak’s teleportation powers and Dagger’s blinding light make for good mechanics to battle against in a boss fight, but Negative’s corruption comes with a slight power upgrade. That means Insomniac could go wild with this one. The story aspect could be cool as well, having the turned hero lure Spider-Man into a trap (where a keen player might notice the photo negative colored clothing), and he’ll have to be a bit more careful taking them down to protect his friends. There are a lot of options here, especially if they could get some video game rights to other characters, like bringing in a corrupted member of the X-Men, Deadpool, or my personal pick, Punisher. The story elements and mechanics are there to allow for some real creativity and surprises. Someone in the comments reminded me about this guy. It would require some tweaking, but a slower paced story that attempts to tug on the heart strings is ripe within this character. Dr. Elias Wirtham is motivated by the tragedy of his brother’s death, a victim of corporate greed whose life could have been saved by a new medicine, had it been seen as profitable. Seeing this series of events unfold as Spidey and understanding why it led the surgeon to change himself so drastically and fight for what he thinks is good, could be quite motivating. 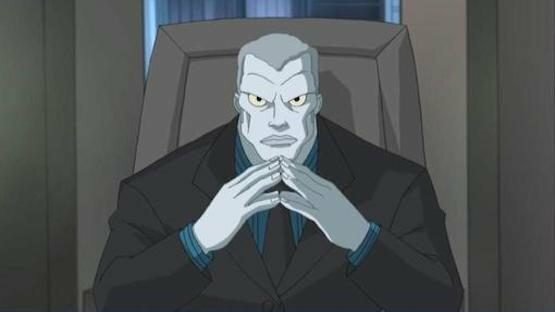 Introducing him would be simple, as in the comics he takes over Mr. Negative’s F.E.A.S.T facility and transforms it into H.E.A.R.T (Hospital for Emergency Aid and Recuperative Therapy), making that a good staging area for encounters in the game. I imagine the player would only fight him once, a shorter story that goes for a more meaningful ending, making the player feel for Cardiac. It should be a tougher endurance fight though, as the beta reactor occupying the space where his heart was grants the anti-hero enhanced strength, agility, and regeneration through some science voodoo and vibranium mesh skin. Cardiac also wields a staff that he can channel blasts of energy through, using it and some melee skills to keep pushing Spider-Man away from him, adding to what could be a fun encounter. If we do this though, I am going to ask for an updated costume as I never liked the original design. 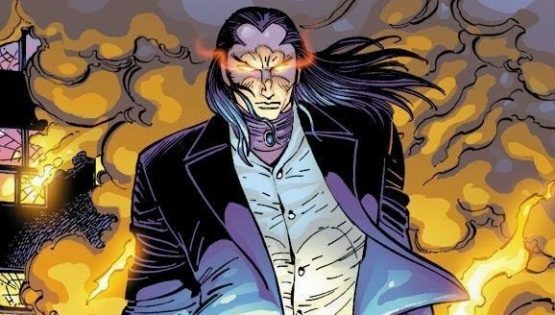 Going really supernatural this time with a vampiric cosmic entity set on collecting totems throughout the multiverse, Morlun has a pretty thick backstory for his motivation, as he seeks to hunt down and kill all of the Spider Totems as an Inheritor. As wonderful as The Other storyline was, we should probably throw all of that out for this game. Keep it simple; give Spidey a dapperly-dressed, tough to kill, lethal opponent since most players won’t know much about his enigmatic origins or powers. After all, this is the guy took out one of ol’ web-head’s eyes after all. I’m hoping the fight centers on one thing from the comics, where Morlun hit Spider-Man harder than he had even been punched before, and from that point of contact on, was able to track him. Thusly, this encounter should span across the city as the player is ruthlessly hunted. Focus on the villain’s ability to drain the life force from him, weakening Spidey, and play up his essential immortality. Parker doesn’t kill, but how cool would it be to see a building drop on Morlun, only to show up a few missions later and really strike fear into the player. It’d underline how intimidating a character he truly is. With radiation being his main weakness though, the writers will need to be a bit more creative, but this could all make for an exciting and memorable encounter. Morlun has only been around since 2001 (Amazing Spider-Man #30), but it’s time he gets the chance to be in something other than the mobile games. 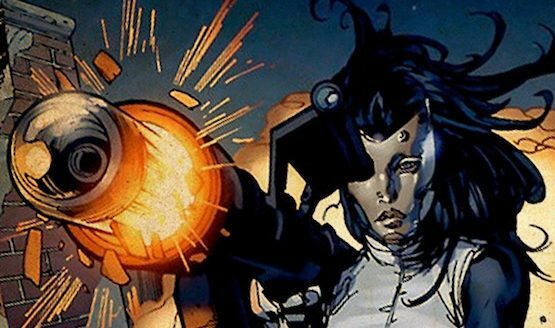 Madame Masque is entering the field (even though she is primarily seen as an Iron Man foe) due to her connection with the Maggia, one of the biggest forces in the Underworld. First appearing in 1969 (Iron-Man #17), she was around a bit before that as Whitney Frost, but her birth name is Giulietta Nefaria, which is just an awesome name. She’s noted to be criminally insane, due to a plane crash disfiguring her face, which is the reason for the gold plated mask that she continued to wear even after her visage was healed by the reality gem. Frost doesn’t need powers to take on New York’s finest heroes, as she’s skilled with hand-to-hand, firearms, as well as having access to plenty armor and gadgets. Masque is also incredibly athletic and knows her robotics, using the wealth of materials at her disposal. The fight would take advantage of a large pool of henchmen and possibly some C-list villains, with her connection to the Masters of Evil group (I’d suggest Spot, Speed Demon, or Whirlwind). Have a few fake-outs perhaps, with her bio-duplicates (think Life Model Decoys), while setting several traps for Spidey. She’s a master strategist and tactician, and the boss fight should reflect all of this as well as her tenacity. Though, if Masque seems a bit underpowered for Spider-Man to some, they can always bring in her lover, The Hood, or the big gun, her father, Count Nefaria. She did appear in the Iron Man game back in 2008, but I think she is worthy at a real shot to take down Spidey, and players deserve a better class of criminal. The man known as Lonnie Lincoln has been making an impact in the underworld since the late 80s (first appearing in Web of Spider-Man #36, 1988). He uses his size, strength and vampiric appearance as an albino (which is one of the reasons I connected to the character) to intimidate and to catch his opponents off guard, overthrowing them. 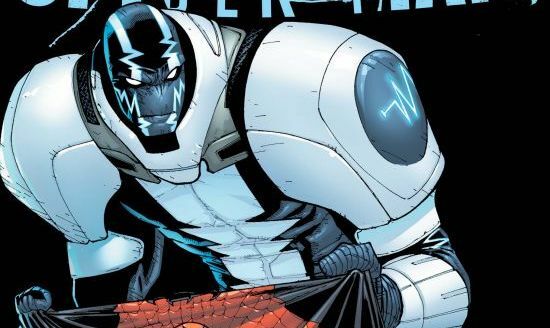 With sharp filed teeth, access to an assortment of firearms, and a lot of experience in street fights, he was a serious threat to Spider-Man before he got powers from an exposure to chemical gas. Fighting him should be a pain, where frontal attacks are easily countered and met with repercussions from his enhanced strength and high levels of durability, as well as being able to pull Spider-Man underwater or into gas, as he doesn’t need to breathe. Some believe him to no longer be among the living after his chemical exposure, which could lead to some more creative story points and mechanics. Tombstone’s ties with Robbie Robertson would make a suitable storyline reason to bring him in, giving Parker that personal connection and need to be more discreet about his identity during the rescue attempt. If the developers wanted to add some more length and intrigue to this bit, the best answer might be to bring in Janice Lincoln, his daughter, known as the Beetle. Tombstone alone is more than formidable, but this family duo could be downright murder. I know some fans don’t feel that the vampire aesthetic fits into Marvel’s universe, but this character has been around in the pages since Amazing Spider-Man #101 (1971). He’s been part of some great stories, episodes of the cartoon, and made his biggest appearance in games as a part of Spider-Man 3 (2007), but that seems like a lot of wasted potential. With how big the vampire fad was there for a while I’m shocked we didn’t see him more as a bigger antagonist. Even though a big part of his story is redemption, I always liked him better when giving into the thirst. The stories around him are classic science-fiction and any setup could be framed using a sense of mystery and horror, giving the new Spider-Man game a set of potentially different or darker tones. Imagine new bodies showing up with a lack of blood or even puncture marks, and even if Parker already has an idea of who it is, it becomes about the following the trail to find the “why.” A final confrontation should involve some science, letting Parker flex his massive intellect and having to use some serum or specialized webbing to weaken the living vampire, but if he touches the player, Spider-Man is weakened due to his loss of blood and moves slower or hits softer. If that isn’t enough, bring in any of the other Marvel classic monsters, maybe Dracula, or go all in and have Blade show up to handle the problem in his own unique way. 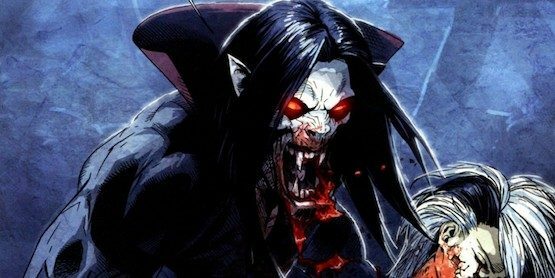 With Sony also supposedly interested in a movie starring Michael Morbius now, it seems like the perfect time to let him shine (just not in the sun…). That’s it for my picks. Let me know in the comments below what Spider-Man PS4 villains you’d like to see in Insomniac’s upcoming game!